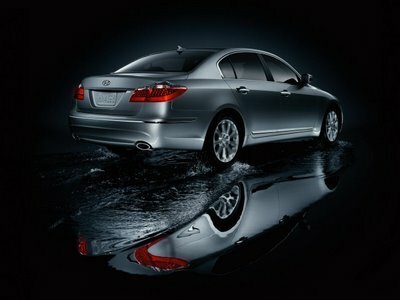 Hyundai made a successful move in the market as it features Genesis, its most ambitious car so far. Created with a sporty image, absolute functionality, power and flawless ride, Genesis had found its place amidst premium European rides and average American cars. 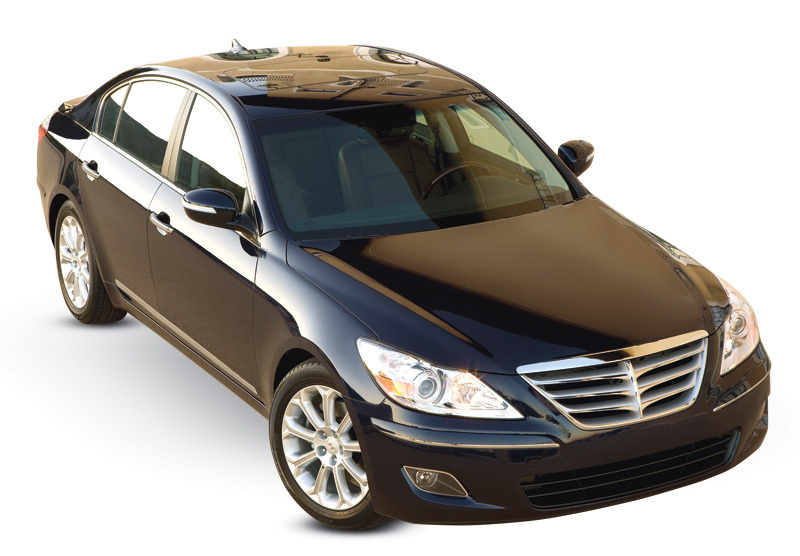 Hyundai Genesis has its unique advantages as well as relatively subtle disadvantages. On its good side are its multiple features that give value to your money, its superb power V6 and V8 engines and rich interiors. Its flaws include its rear seat which is none split-folding; it does not have steering wheel paddles and quite unreasonable number of seat adjustments. Before, Hyundai used to create what are known as econoboxes. The early part of 2000’s marked its move to create bigger, more ambitious vehicles. 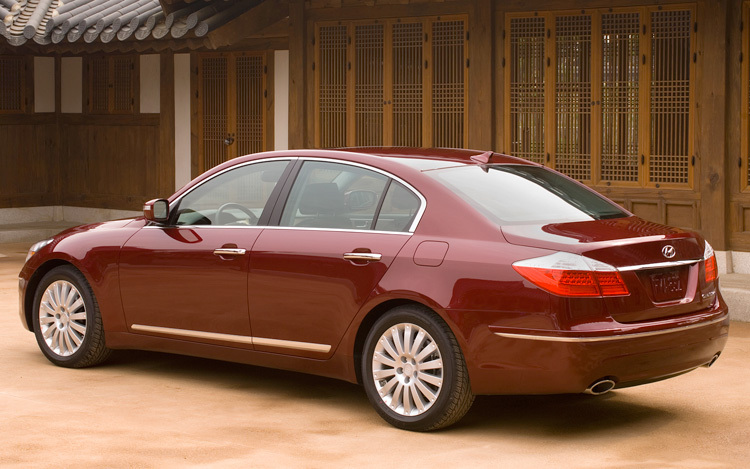 This South Korean car company is finally taking a bigger step this 2009 with Genesis. This move envisions Genesis, a large sport sedan with rear-wheel drive, in close resemblance to the Mercedes Benz E-Class and BMW 5-Series. Pricing is however nearer with that of Pontiac G8 and Chrysler 300. 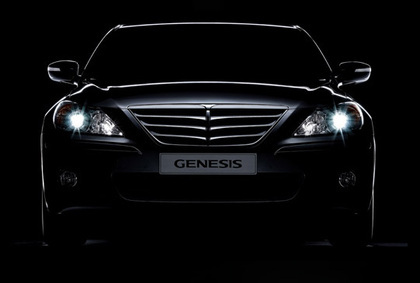 Trials proved that Genesis performs well on the road. 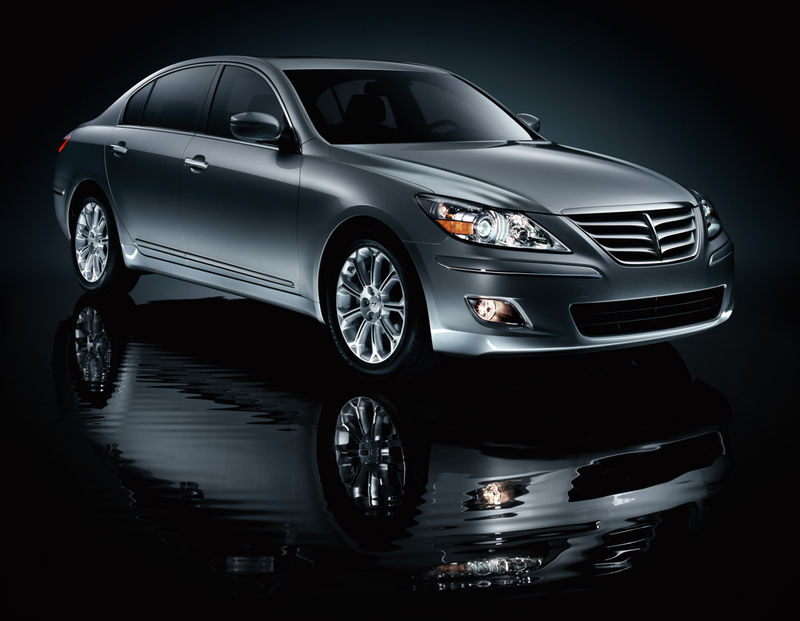 Practicality and value for money are Hyundai’s best assets and these are apparent in Genesis. There are two ambitiously equipped versions, the 3.8 and 4.6. These trim names are tied to the engine size. The 3.8 trim’s features include dual-zone automatic climate control, leather upholstery; AM/FM/CD audio equipped with 7 speakers, XM satellite radio and interface for iPod, Bluetooth mobile phone link and P225/55R17 tires. Added features for the 4.6 trim include sunroof, power rear sunshade; 6-disc CD changer, Lexicon 15-speaker audio and P235/50R18 tires among several others. There are several equipments available for the 3.8 which are similar with that of the 4.6. Orders for both versions can be made with a Technology Package which consist of front and rear obstacle detection, XM NavTraffic, navigation system, 17-speaker audio, 7.1-ch Lexicon surround sound system, heated and cooled front seats, adaptive xenon lights, HD radio, rear view camera and an impressive 40 Gig HD for music files and navigation map info. A 4.6 that is fully-loaded is capped with a price tag of $42,000 with destination charges inclusive. Genesis is featured in two variants and both are equipped with substance and power. The V6 is highly influenced by Hyundai’s Lambda 3.8L DOHC V6 which works 290hp at 6200rpm and 264 lb-ft torque at 4500rpm. It is mated to 6-speed automatic transmission with a highly functional Shiftronic manual shift capability. EPA rate of V6 is at 18/27 mpg – city/highway. 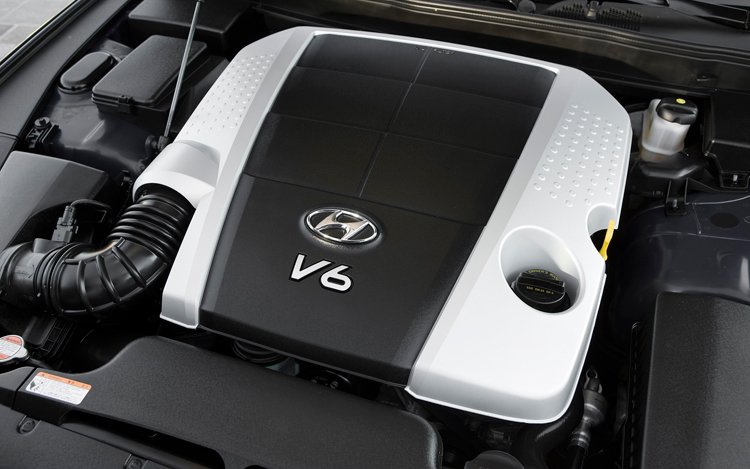 The other version which is the V8 has Hyundai’s new Tau 4.6L DOHC V8. Hyundai has created this engine using the latest technology which includes continuously variable timing for intake and exhaust valves. It also has a Variable Intake System specifically-designed to make the engine breath with efficiency whether in high or low speed resulting to 375hp at 6500rpm and 333 lb-ft torque at 3500rpm using premium fuel. Regular fuel makes the figures go down to 368hp and 324 lb-ft of torque.V8 version is also equipped with 6-speed automatic transmission with Shiftronic. It has a rating of 17/25 mpg. Genesis’ interior is well-detailed. It had been accentuated with chrome and soft materials. Its dashboard is wrapped in leather, a feature found in most luxury vehicles. It may seem quite unattractive because it can give you the impression of an old Buick. Using the optional navigation system, Genesis has a central control for its multi-media features like the radio, navigation system, Bluetooth mobile phone, trip computer and iPod interface and others. A large rotating knob plus 6 buttons for different functions serve as controls. 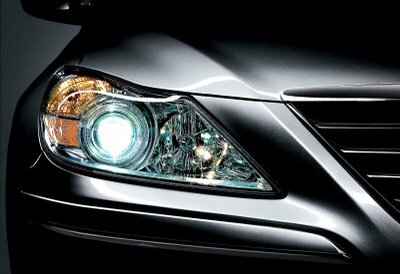 In comparison to BMW, Mercedes-Benz and Audi, Hyundai system is much more user-friendly although requires additional steps to perform simple operations such as programming the radio. The navigation system can work using voice commands. Legroom in the front and rear seats is good. However, taller passengers seating at the rear may require more headroom. 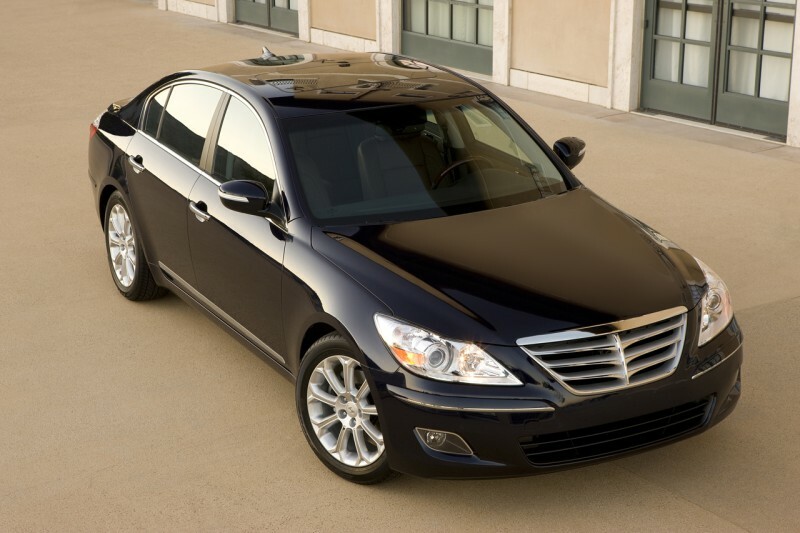 Genesis has comfortable seats but are quite higher and do not have a lot of adjustments considering its level of luxury. Storage for small items is reasonable although it can use some extra. The trunk has 15.9 cu ft cargo room with standard rear pass through although folding rear seats are more convenient. 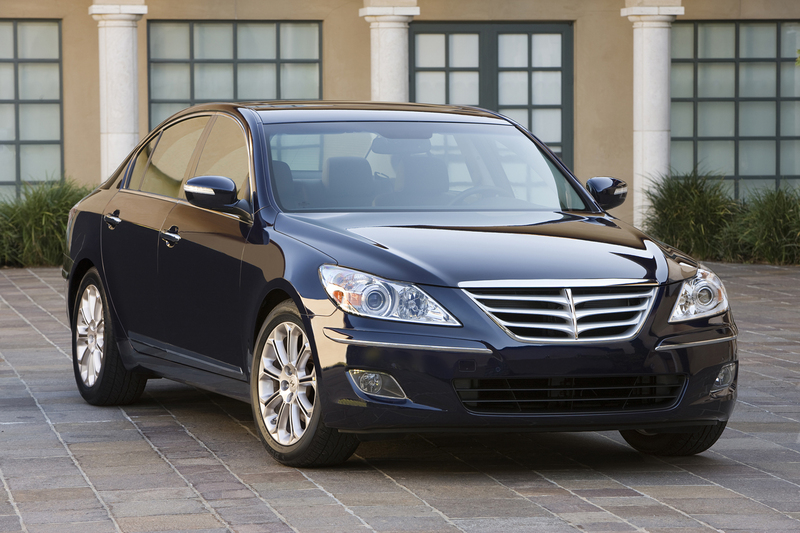 Hyundai has structural reasons as to why it opted out on this. The Genesis has an advanced five-link front and rear suspensions and the hardware to compete against the BMW 5-Series and Mercedes Benz E-Class. On twisted roads, the car can be compared to a luxury E-Class. However, it does not have the balance and agility of BMW 5-Series. 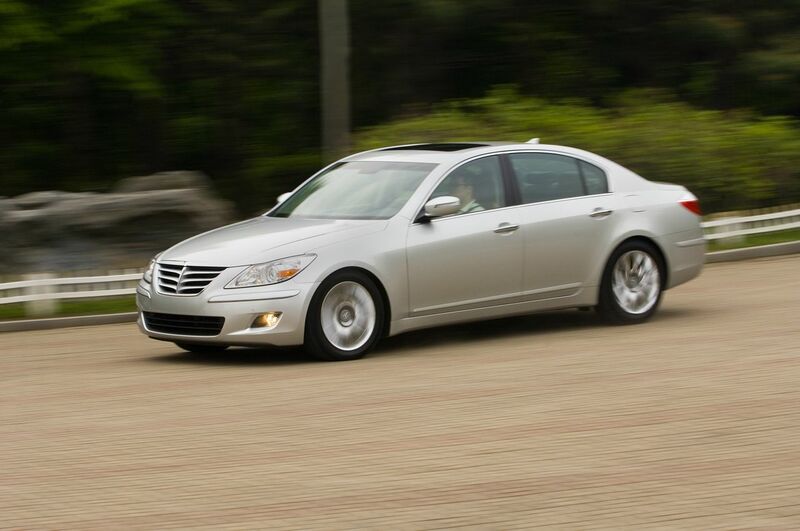 In general, Genesis is a capable handler in both twisty roads and on small road course. It can somehow be matched to a Mercedes although it stays flatter during turns. V6 has more superior weight balance than the V8. 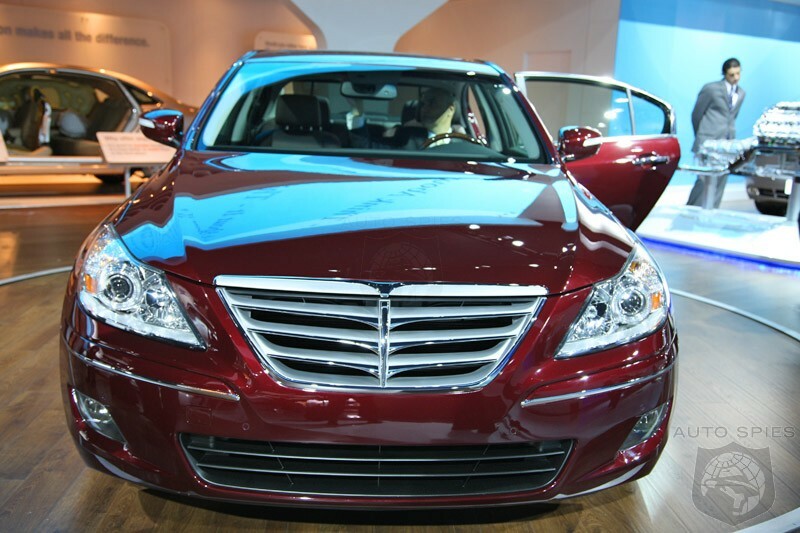 Genesis price range is $33,000 to $42,000 which is somewhere between the BMW sport sedans and Chrysler 300.